Every day, hardworking Americans struggle to make ends meet. As the bills keep coming in, many feel buried under insurmountable piles of debt. There is a way out. At the McBride Law Firm, we have been helping individuals and families eliminate their debts through bankruptcy for more than 20 years. Located in Alexandria, Louisiana, our lawyers help clients use Chapter 7 and Chapter 13 bankruptcy to stop creditor harassment, discharge debts and regain control of their finances. 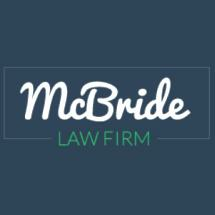 At the McBride Law Firm, we understand the stress and anxiety caused by debt. Our attorneys are here to help. We take the time to explain the bankruptcy process to our clients. After evaluating our clients' financial situation, we will recommend either Chapter 7 or Chapter 13 bankruptcy and explain the benefits and drawbacks of each option. Together, we will stop creditor harassment, prevent wage garnishment and repossessions, halt the foreclosure process and eliminate your debt so you can move forward with your life. Call us at 318-445-8800 for a same-day or next-day appointment. Together, we will stop creditor harassment and get you on the path to debt relief. Consultations are free and walk-ins are welcome.